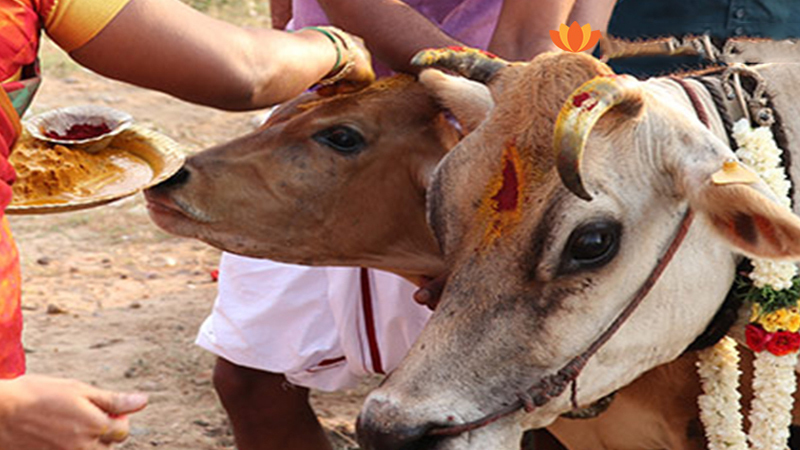 Gopooja is usually performed to remind about the importance on the role of cow that is often symbolised as mother plays in everyone’s life. Many consider this as an opportunity to thank and appreciate the role she plays in our life. Gopooja is usually performed during the Tamil month of Thai(English Month of January). It is believed that performing Gopooja helps to remove poverty and bring in prosperity and well being. Also, it is believed that almost 36 divine beings have taken their abode in cow and that cows need to be treated with respect and care and no efforts should be taken to harm the same.